In this role, you are part of our Dominion Securities team, an independent division within Wealth Management, which works solely with high net-worth clients. This is an entrepreneurial offering, as your business is built independently through the growth and maintenance of your network, with the brand, strength, and stability of RBC behind you. 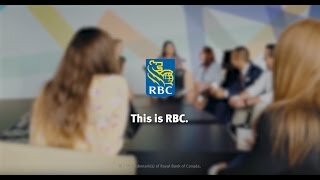 As an Investment Advisor, you work within a 100% commission compensation structure, with flexible benefits through RBC's reward program. This opportunity involves building a business that fits your lifestyle and unique skill set, with the freedom and flexibility to customize solutions for your clients' individual needs. Establish and maintain reciprocal relationships with RBC partners such as Personal & Commercial Banking, Insurance, etc. The passion and entrepreneurial mindset to influence clients to understand our RBC Dominion Securities offerings and build a book of clients, primarily through networking, cold calling, prospecting referrals, seminars, etc.